After a Huge Success there is no doubt that PlayerUnknown's Battlegrounds is a hit game this year. PlayerUnknown's Battlegrounds is also known as PUBG. 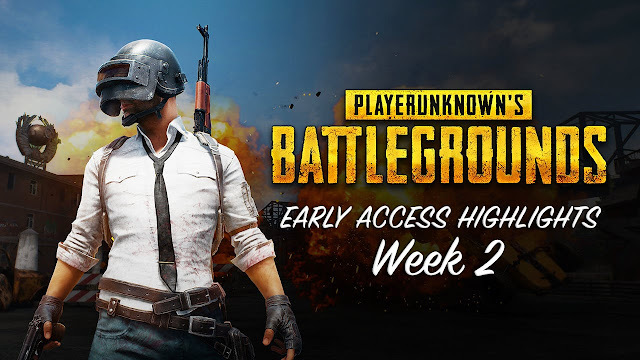 PUBG game has beaten one of the top games in steam like Grand Theft Auto V for most active player online and even beating dota 2 last month for a certain time. This is a game about a players who are dropped with parachute in a big map. After getting dropped down they need to find a weapons and other survival stuff. You can also get a vehicle with guns and motorcycle to ride it across the map. The map is big but at some point you will see another player since the safe play area in a map shrinks and the bloodbath begins. The last person who manages to survive will win the game. This is pretty much it but becoming a last man standing is not as easy as you think. Sometimes you get dropped down in an area where it is very hard to find a gun and what you get is a pistol only whereas others get AK47, M4 etc which gives them advantage in range fire power. You need skills to stay alive and there are some players who play as a team for fun even though this is a solo survival game. The game usually last for 20 - 40 minutes if you managed to stay in top 10.
how to buy this game ??? You can buy it from steam.